Should you happen to be in the vicinity. I've no idea how long I'll read for. 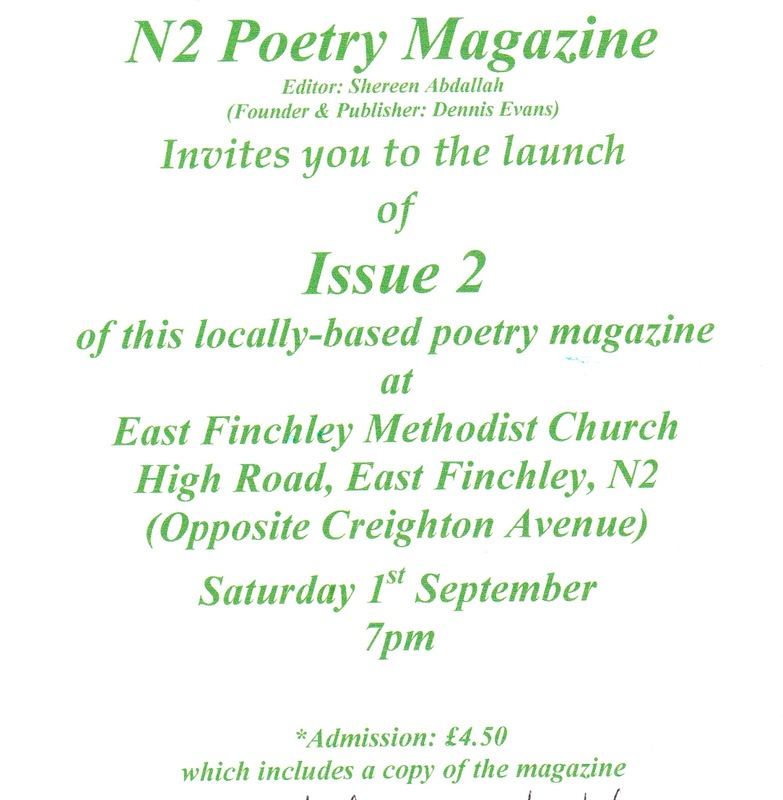 probably five minutes or so, but there are other poets worth listening to, and isn't it time you visited the East Finchley Methodist Church anyway? E, it rather escaped my attention when I posted this, but the fact is that I shall be in France, so I shan't be reading. Probably for the best all round. 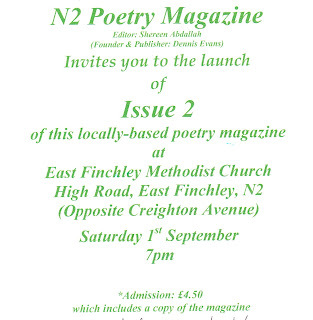 Do go if you can. Little mags need big support.